Al, Lowell, and I spent Saturday, Dec 8th, birding around Yuma, AZ and Bard, CA, tallying 94 species by the time we quit at 4:00 p.m. No rarities, but a fine day of birding! We started out at the Yuma West Wetlands, getting the typical hummingbirds (Anna’s & Costa’s), woodpeckers (Gila, Ladder-backed, & Northern Flicker), phoebes, and Crissal Thrasher. 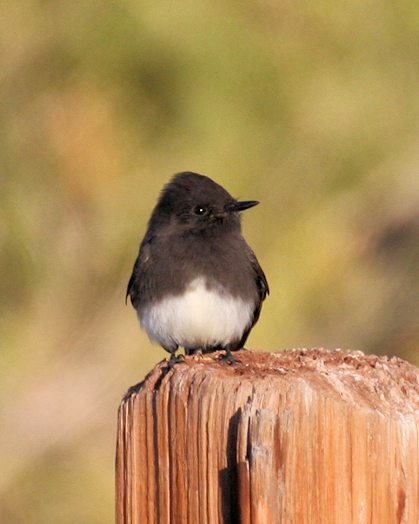 At Cocopah RV Park we were happy to note the return of the wintering Hooded Mergansers (11), a Caspian Tern, herds of Long-billed Curlews, and a couple of Vermilion Flycatchers. At Morales Dam we had a fair number of shorebirds and an American White Pelican. The winter season south of Yuma must be a terrifying time for gophers. All during the summer they colonize the huge circular alfalfa fields south of County 9th Street and eat with abandon. 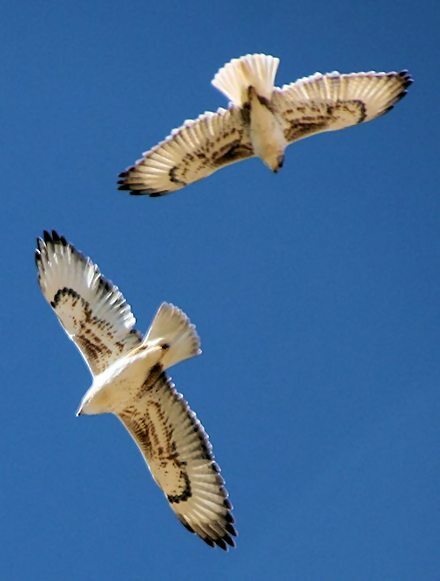 But come November dozens of Ferruginous and Red-tailed Hawks fly down for the winter and feast on gopher meat. 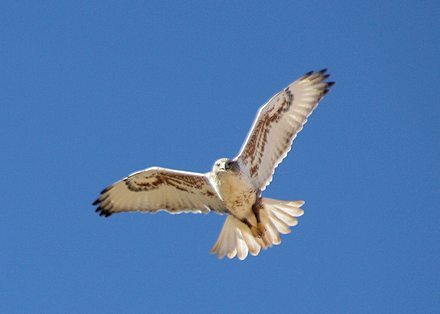 On Saturday morning we counted 37 beautiful Ferruginous Hawks (including 2 dark-phase individuals) and 32 Red-tailed Hawks. And we had two Prairie Falcons to boot! Watching a Loggerhead Shrike chase down a beetle south of town was also pretty darn interesting. The beetle outmanuevered the shrike for the first two passes, but the bird perservered and then caught it–in its claws. In Imperial County we first visited the Living Waters Ministry, where all was pretty quiest save for a couple of House Wrens and an adult Red-shouldered Hawk. On Flood Road, about a mile away, we had a pair of adult Red-shouldered Hawks and a Black-throated Gray Warbler. Senator Wash had good numbers of Eared and Western Grebes, Common Goldeneyes, and two Common Loons. The Barrow’s was nowhere to be found. The desilting ponds south of Imperial Dam had two Greater Scaup and two more American White Pelicans.